Anything Bel Air United Methodist Church has to offer you for growth is here! Audio Sermons – Did you miss this past Sunday’s sermon? Then listen to it here. Download a Form – Click on the desired form, then print, complete and mail to the church office. All other forms can be completed online and will automatically be e-mailed to the appropriate person. Safe Sanctuary – Each year all employees and volunteers with children and youth must complete a Questionnaire as required by the Annual Conference. In addition a background check must be conducted on all who serve with children and youth, as well as a training session mandatory on reporting suspected abuse and/or neglect. 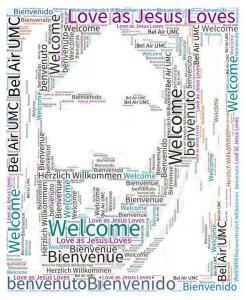 Spire Newsletter – Welcome to the home of Bel Air United Methodist Church’s monthly newsletter. Church Membership: Interested in becoming a member? Find more information here.